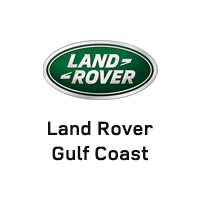 Land Rover Gulf Coast is your one-stop-shop for all things automotive, and we’d love to get to know your vehicle personally! Whether dealing with routine maintenance or more severe repairs, the expert technicians at our dealership will deliver the top-notch results that you deserve. Our service department is staffed by seasoned experts that are trained to manufacturer standards, so they can handle any vehicle that rolls through the door. They can help you learn why you should only get serviced by a dealership too. Schedule an oil change to keep your car running like new, or take a visit to the collision center to restore a damaged vehicle to pristine condition. We can do it all at Land Rover Gulf Coast. Find out more about all that we can offer you, and then schedule your service online in mere minutes! Additionally, our service department is aided by a state-of-the-art collision center and a tire center that specializes in high-quality brands. Stop by the tire center to find just the right set for your Land Rover, so you can maximize performance in your vehicle on every journey. Because when you drive a work of art like the Land Rover, just any set of tires won’t do! When your car is running well, it can be difficult to make time for your scheduled maintenance appointment. However, those who stay on top of these routine services will find themselves handsomely rewarded with a car with outstanding performance and excellent longevity. Take a look at your car’s manual to see the manufacturer’s recommendations before scheduling your oil changes, brake checks, tire rotations, and more. You’ll receive a customized schedule for your particular make and model. Also, don’t forget to keep track of your warranty! Many services are covered under the generous Land Rover warranty for free. While this doesn’t cover everything, you’ll find that a host of mechanical issues are included to keep your vehicle in the best condition possible. Land Rover customers are even invited to a two-hour lesson from a certified Land Rover Experience Driving school instructor, so you can learn how to utilize every feature of your new vehicle. So, just what warranties can drivers enjoy in their brand new Land Rover? Each new model includes a 4-year/50,000-mile New Vehicle Limited Warranty. New vehicles also enjoy a 6-year/unlimited-mileage warranty that covers corrosion perforation, as well as emissions. Roadside Assistance is available for vehicles under warranty for your convenience. Take advantage of services like 24-hour Roadside Assistance, Trip-Interruption Expense Benefits, 24-Hour Emergency Towing, and more. As a consumer, you have a choice when you select your dealership. You can choose any old dealership around the corner and hope for the best, or you can trust your car to experts that know all the ins and outs of your particular vehicle. Land Rover Gulf Coast has a brand-exclusive staff, which means every technician is trained in the intricacies of the Land Rover. These experts receive thorough and rigorous training up to the manufacturer standards. This exclusive training gives them world class knowledge, so our technicians can handle unexpected issues that may stump a general mechanic. You can enjoy total peace of mind when you leave your Land Rover in the hands of these experts. Land Rover Gulf Coast is ready to show you the difference between our expert service from a brand-exclusive staff and everyone else. Whether you need a simple oil change or a complete vehicle transformation, you can feel completely confident when dropping your Land Rover off in our garage. Feel free to get in contact with us about any automotive concern, and we’ll find the solution that you need.